No more messing around with your smartphone, this is the real deal! * : The select Best of Bruges tour takes place during the blue hour, the transition period from day to night. Specific hours can be consulted here and will be confirmed by mail, once you have made your reservation. The other Best of Bruges tours take place by day. How to book and pay a private tour? Take a look at our portfolio, and read carefully through the practical information. Send your request through the book / buy form. Please mention the name of the tour (e.g. the "regular monumental" tour), the number of participants (up to 4) and the preferred timing (date + hour). You will receive an e-mail containing a detailed description of the requested tour and you will be asked to pay 30% in advance by bank transfer. The above mentioned rates include VAT and are applicable per tour, regardless of the number of participants. 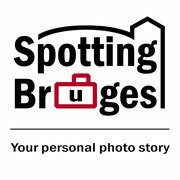 Once Spotting Bruges has received your payment, your reservation will be considered as confirmed. The remaining amount is due to be paid at the end of the photo tour, cash or by credit card. Contact us to explain your idea and we will work out a proposal accordingly.